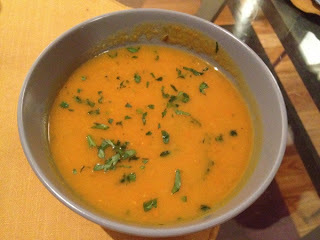 My wife loves butternut soup. I am not as keen, but made a version I like. It is pretty rich and I guess that is why I like it! Dont worry about peeling it or de-seeding it...we want every bit of butternut flavour there is. Chop it up as small as you are in the mood for and put it into a large pot of water or a pressure cooker. Add a large chopped onion, 4 pieces of garlic smashed in their shells, a teaspoon of coarse black pepper and salt to taste. Because its butternut, add butter of course! 2 large tablespoons. In a pot simmer for 2 hrs. Pressure cooker, which I prefer, 1 hour. Then use an egg beater, whisk or whatever you have and liquidise it all. Strain in a sieve. THANK YOU VERY MUCH TO VISIT ME ON MY BLOG AND TO APPRECIATE MY EFFORTS BUT YOUR ARE VERY GOOD AT COOKING SO I WILL STEAL SOME TIPS FROM YOU TOO. HOPE YOU DON'T MIND. GOD BLESS YOU. 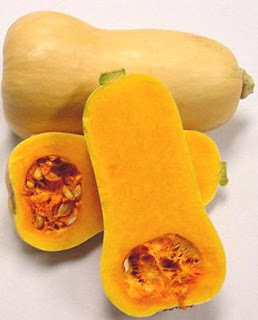 Archi, think I'm going to make the Squash soup this weekend. I'm not really a squash person. Looks good thanks for posting your recipes. We're a group of volunteers and opening a new scheme in our community. Your site offered us with valuable information to work on. You have done an impressive job and our whole community will be thankful to you. Hello, i think that i saw you visited my site so i came to “return the favor”. I am attempting to find things to enhance my web site! a user can know it. Therefore that's why this post is perfect. Thanks! website gives quality based articles. It's very effortless to find out any topic on net as compared to books, as I found this article at this site. Perfect spatched chicken on the braai.